At Plastimagen, to be held from 2 to 4 April 2019 in Mexico City, Arburg will be presenting two typical applications for packaging technology: A high-speed, high-performance hybrid Allrounder 630 H in the "Packaging" version will produce screw caps for water bottles, while an automated electric Allrounder 470 E from the Golden Electric series will manufacture small all-purpose boxes. In addition, Arburg experts will be presenting the ALS host computer system and Arburg's wide range of services in Mexico at stand 730. "We are seeing a trend towards complex equipment, electrical machines and automation in the Mexican plastics industry," explains Guillermo Fasterling, Managing Director of Arburg Mexico. "Our Allrounders are widely used in the automotive, electronics and toy industries, and increasingly in the packaging industry. At this year's Plastimagen, we will therefore be presenting two packaging applications - including automation and quality control - as well as the Arburg ALS host computer system." The "Packaging" versions (P) of the hybrid Allrounder Hidrive machines have been specially designed for high-quality and high-volume production in the packaging industry. At Plastimagen 2019, an Allrounder 630 H with a clamping force of 3,200 kN and a size 2100 injection unit with a 48-cavity mould from Plastisud will be producing screw caps made of PE-HD for water bottles. The cycle time is about 3.2 seconds and the moulded part weight is two grams. After cooling down in a lift cooler, a camera system by partner company Intravis checks the screw caps and sorts the good and bad parts. Arburg is using an electric Allrounder 470 E Golden Electric with a clamping force of 1,000 kN and a size 290 injection unit to demonstrate the cost-efficient, automated production of plastic parts at Plastimagen 2019. The exhibited machine will be using a 1-cavity mould from Langer Molds and Tools to produce 61-gram PP all-purpose boxes with snap locks in a cycle time of around 15 seconds. 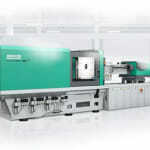 The injection moulding machine is compactly automated with a Multilift Select. 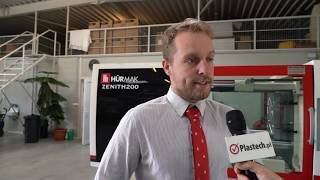 The linear robotic system first removes the moulded part from the mould and forwards it to a laser station, where the logos of the application partners are added. The box is then closed on an assembly table and the now ready-to-use item is placed on a conveyor belt by the Multilift Select to be made available to trade fair visitors as a giveaway. 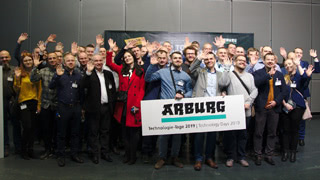 Arburg has more than 30 years of know-how in IT-networked production. Its portfolio for production-efficient plastic parts manufacturing ranges from digital assistance packages, predictive maintenance and Arburg Remote Service to the new customer portal and Arburg's own MES, the ALS host computer system. As a central component of Industry 4.0, ALS enables online data exchange across production facilities and locations (horizontal integration) as well as with a PPC/ERP system (vertical integration). At Plastimagen 2019, both machine exhibits are networked via ALS. At one station on the exhibition stand, visitors will be able to learn more about the advantages ALS can offer them, including more effective production planning and traceability of safety-relevant moulded parts. 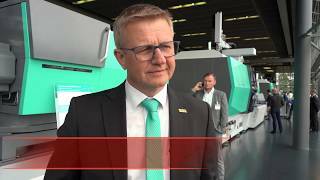 The topic of service offered by Arburg Mexico will also be featured at Plastimagen 2019. Today, the team counts 27 employees, including skilled service technicians and experts in application technology as well as automation and turnkey projects. The Querétaro subsidiary offers its customers high-tech solutions for a wide range of industries and processes, as well as professional consulting and comprehensive support in sales, pre-sales and after-sales service. This includes a telephone hotline, a spare parts warehouse, a showroom and the training courses offered by Arburg Mexico.